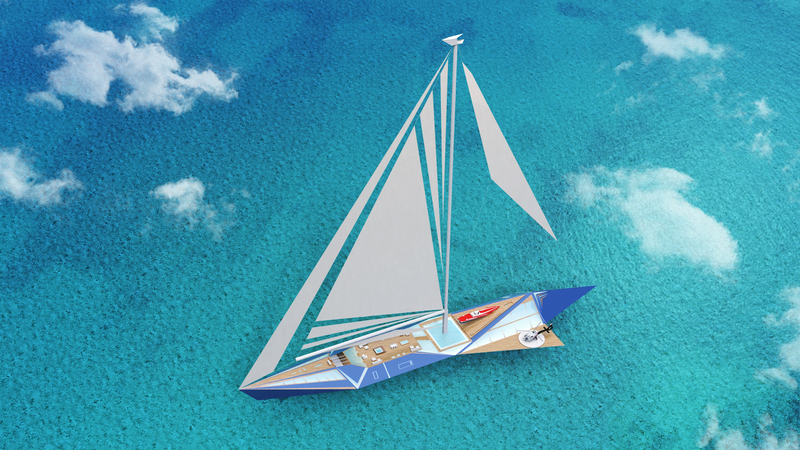 “The project is designed for an owner who would not be afraid of stepping out of the traditional sailing yacht shapes, and go beyond anything that was built before, in terms of design, technology and environmental friendliness”, observes George Lucian regarding his most recent concept. Indeed, Project Origami strikes with a seemingly light, “paper-weight”, structure, contrasting the boat’s considerable size.The yacht features various convertible elements, such as one port-side section of the hull folding out to create a touch-and-go helipad. When this is done, the interior area stays protected by a glass wall, which allows for beautiful sea views, when the yacht is at anchor or in calm seas. The main mast, rising from the middle of a beam-wide glass-sided swimming pool, culminates in a lookout point, so-called “crow’s nest”. The yacht boasts a huge middle-deck with Jacuzzi and lounging areas, as well as indoor drive-in garage for tenders and a speed boat placed towards the bow and lifted by a crane. 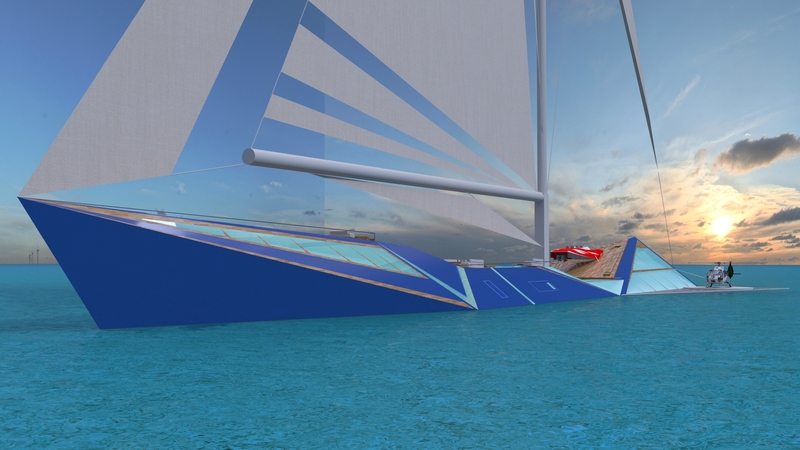 In February George Lucian presented his superyacht airship career concept named Dare to Dream that received positive feedback from industry experts.